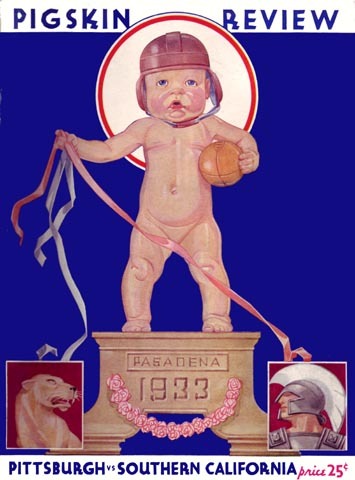 Three years prior to this game, the Pitt Panthers had taken an unbeaten team into Pasadena for a Rose Bowl showdown with the Trojans, and had come away with a 47-14 whooping. This year was going to be different, and once again the Panthers came into the game without a loss. Nice thoughts; poor execution. The score tells it all. Any surviving Panthers who saw what Ohio State has been going through recently will most definitely feel the Buckeyes' pain.